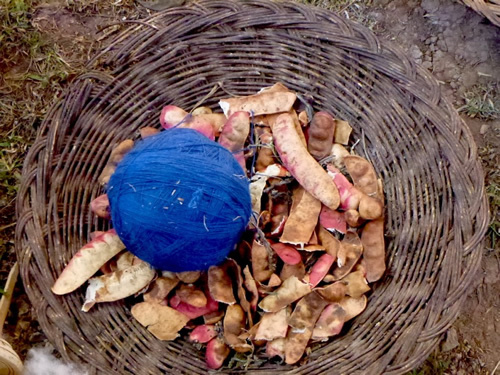 Ancient Peruvians considered alpaca fibers as fit for dressing their gods. 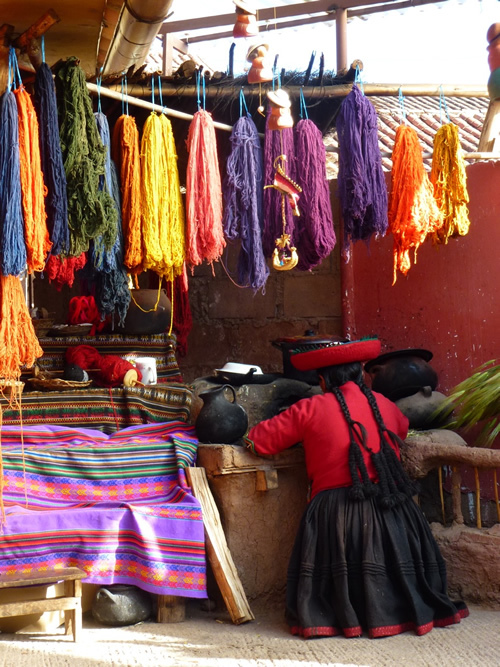 They always used natural colors and the tradition continue in differents cities in Peru. The alpaca fiber is dyed by artisans using recipes that have been passed down through many generations. 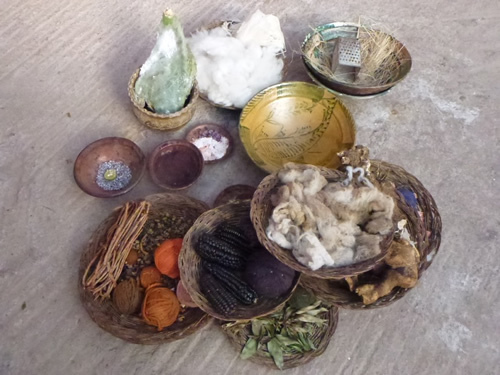 The Andes are filled with a great diversity of plant life and the Andean people have a rich knowledge of the use of these plants for medicines, and for natural dyes for their cloth. 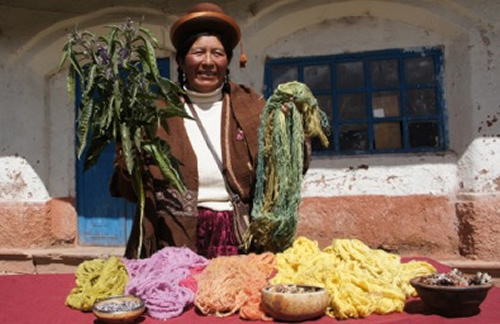 All of the colors found on alpaca fiber and sheep’s wool textiles from Chincheros, Cuzco - Peru, were dyed with a variety of plants. 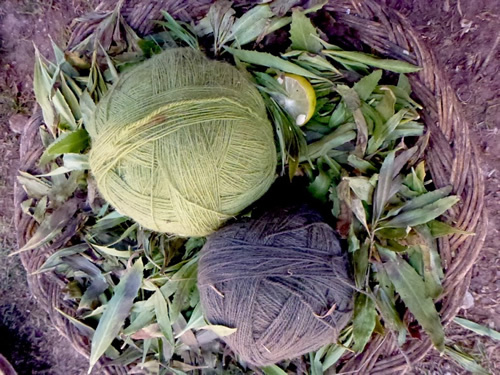 From cleaning to dyeing to fixing, each phase of the coloring process relies on natural products that have been available for millennia. 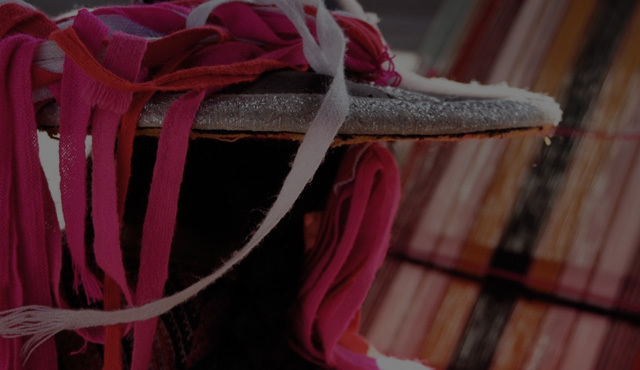 Single-ply spun yarns are dyed in a wide variety of vibrant colors. The dyes are fixed with natural chemicals such as salt, lime, alum and acids. The Ilca leaf produces shades of green. 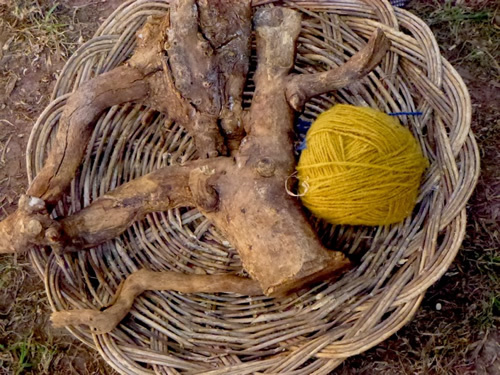 Yellow dye comes from the flower of the Quolla plant. is distinguished by its great versatility, available in ten natural shades of white, gray, brown, beige and black. 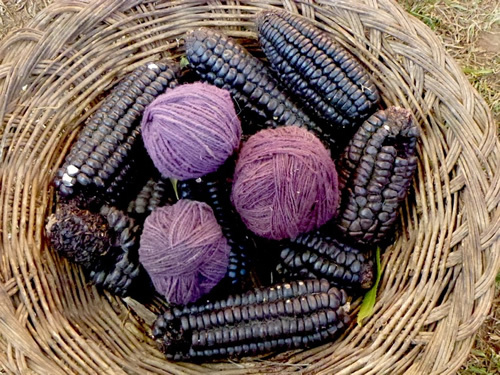 The pigment giving purple corn its vivid color derives from an exceptional applications in textiles from Peru. Shades of gray and blue come from the tara seed. A moss called “barba de la roca” or “beard of the rock” produces orange tones. Eighteen different shades of red are produced from cochineal, also known as carmine. Cochineal is obtained from the insect of the same name, which lives on cacti. When dried and ground, cochineal (the purplish powder seen in the bowl) is mixed with water and produces a potent liquid colorant that is also used for the lips. Used alone, cochineal yields a pinkish red but with the addition of an acid, such as lime juice, the color turns to a brick red. 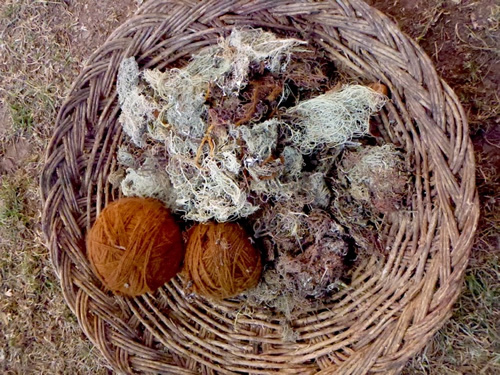 Ancient Peruvians considered alpaca fibers as fit for dressing their gods. 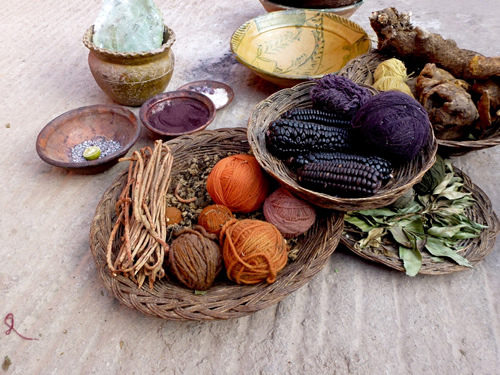 They always used natural colors and the tradition continue in differents vities in Peru.